Solomon Lefschetz (Russian: Соломо́н Ле́фшец; 3 September 1884 – 5 October 1972) was an American mathematician who did fundamental work on algebraic topology, its applications to algebraic geometry, and the theory of non-linear ordinary differential equations. He was born in Moscow into a Jewish family (his parents were Ottoman citizens) who moved shortly after that to Paris. He was educated there in engineering at the École Centrale Paris, but emigrated to the USA in 1905. He was badly injured in an industrial accident in 1907, losing both hands. He moved towards mathematics, receiving a Ph.D. in algebraic geometry from Clark University in Worcester, Massachusetts in 1911. He then took positions in University of Nebraska and University of Kansas, moving to Princeton University in 1924, where he was soon given a permanent position. He remained there until 1953. In the application of topology to algebraic geometry, he followed the work of Charles Émile Picard, whom he had heard lecture in Paris at the École Centrale Paris. He proved theorems on the topology of hyperplane sections of algebraic varieties, which provide a basic inductive tool (these are now seen as allied to Morse theory, though a Lefschetz pencil of hyperplane sections is a more subtle system than a Morse function because hyperplanes intersect each other). The Picard–Lefschetz formula in the theory of vanishing cycles is a basic tool relating the degeneration of families of varieties with 'loss' of topology, to monodromy. His book L'analysis situs et la géométrie algébrique from 1924, though opaque foundationally given the current technical state of homology theory, was in the long term very influential (one could say that it was one of the sources for the eventual proof of the Weil conjectures, through SGA7 also for the study of Picard groups of Zariski surface). In 1924 he was awarded the Bôcher Memorial Prize for his work in mathematical analysis. The Lefschetz fixed point theorem, now a basic result of topology, he developed in papers from 1923 to 1927, initially for manifolds. Later, with the rise of cohomology theory in the 1930s, he contributed to the intersection number approach (that is, in cohomological terms, the ring structure) via the cup product and duality on manifolds. His work on topology was summed up in his monograph Algebraic Topology (1942). From 1944 he worked on differential equations. 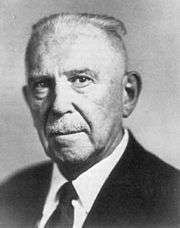 He was editor of the Annals of Mathematics from 1928 to 1958. During this time, Annals became an increasingly well-known and respected journal, and Lefschetz played an important role in this. Lefschetz came out of retirement in 1958, because of the launch of Sputnik, to augment the mathematical component of Glenn L. Martin Company’s Research Institute for Advanced Studies (RIAS) in Baltimore, Maryland. His team became the world's largest group of mathematicians devoted to research in nonlinear differential equations. The RIAS mathematics group stimulated the growth of nonlinear differential equations through conferences and publications. He left RIAS in 1964 to form the Lefschetz Center for Dynamical Systems at Brown University, Providence, Rhode Island. Intersections and transformations of complexes and manifolds, Transactions American Mathematical Society (AMS), vol. 28, 1926, pp. 1–49, online ; fixed point theorem, published in vol. 29, 1927, pp. 429–462, online. Reminiscences of a mathematical immigrant in the United States, American Mathematical Monthly, vol.77, 1970, pp. 344–350. 1 2 Hodge, W. (1973). "Solomon Lefschetz 1884-1972". Biographical Memoirs of Fellows of the Royal Society. 19: 432. doi:10.1098/rsbm.1973.0016. ↑ Markus, L. (1973). "Solomon Lefschetz: An appreciation in memoriam". Bull. Amer. Math. Soc. 79 (4): 663–680. doi:10.1090/s0002-9904-1973-13256-2. ↑ O'Connor, John J.; Robertson, Edmund F., "Solomon Lefschetz", MacTutor History of Mathematics archive, University of St Andrews . ↑ Phillip Griffiths, Donald Spencer and George Whitehead (1992). "Solomon Lefschetz 1884-1972" (PDF). National Academy of Sciences. ↑ Allen, K. N. (1988, January). Undaunted genius. Clark News, 11(1), p. 9. ↑ Alexander, J. W. (1925). "Review: S. Lefschetz, L'Analysis Situs et la Géométrie Algébrique". Bull. Amer. Math. Soc. 31 (9): 558–559. doi:10.1090/s0002-9904-1925-04116-6. ↑ Zariski, O. (1930). "Review: S. Lefschetz, Géométrie sur les Surfaces et les Variétés Algébriques". Bull. Amer. Math. Soc. 36 (9): 617–618. doi:10.1090/s0002-9904-1930-05017-x. ↑ Smith, P. A. (1931). "Letschetz on Topology". Bull. Amer. Math. Soc. 37 (9, Part 1): 645–648. doi:10.1090/S0002-9904-1931-05201-0. ↑ Antosiewicz, H. A. (1963). "Review: Joseph LaSalle and Solomon Lefschetz, Stability by Liapunov's direct method with applications". Bull. Amer. Math. Soc. 69 (2): 209–210. doi:10.1090/s0002-9904-1963-10915-5. ↑ Haas, Felix (1958). "Review: S. Lefschetz, Differential equations: Geometric theory". Bull. Amer. Math. Soc. 64 (4): 203–206. doi:10.1090/s0002-9904-1958-10212-8.